This listing is for a Large Ear Tag ( 1 1/4 inch tall and 7/8 inch wide). Includes a sterling silver handmade brand and personalization of your choice. 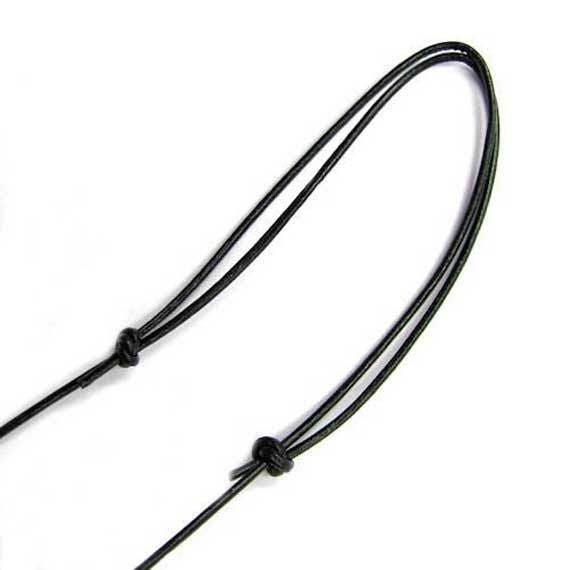 The silver brands is created with a 20 gage (040) silver wire. Cute as a lamb's tail or maybe his ear. 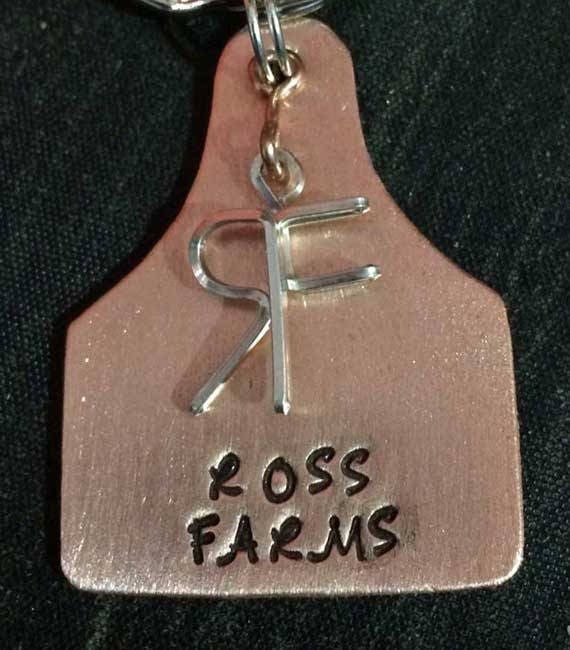 Custom made and personalized for the FFA'er, 4H'er or Rancher in your circle. Each Tag is designed with what you want. 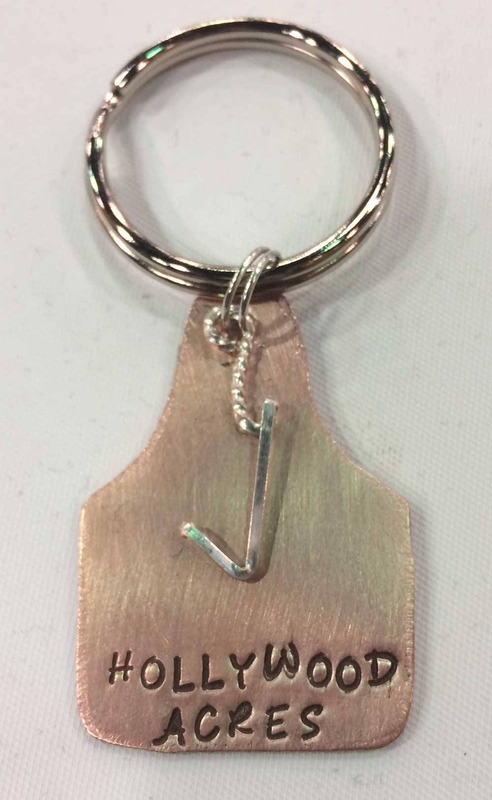 Initials, Brand, Animal Name, Farm Name, etc. 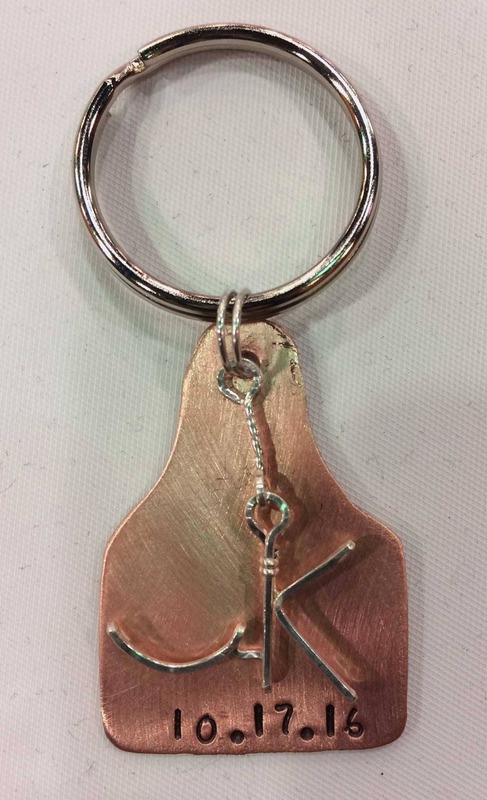 You choose between a Keychain or Necklace. 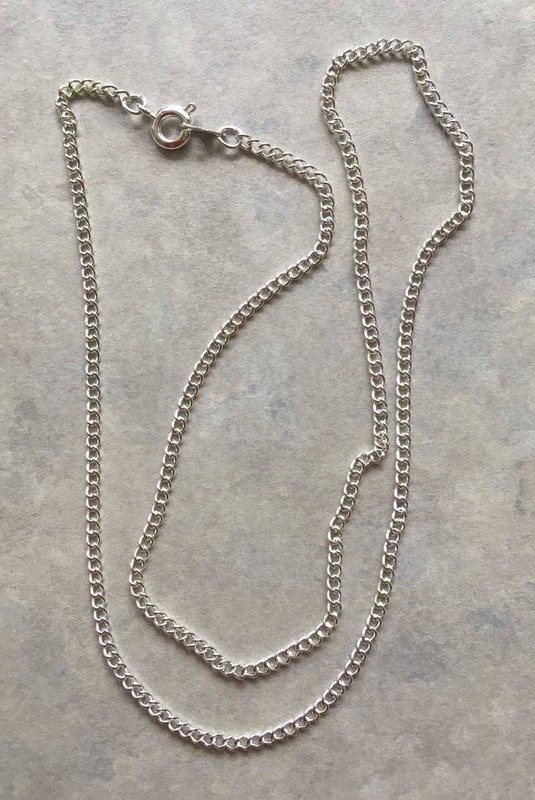 The necklace is available with a silver plated chain in 16 or 18 inches or a hand tied cotton cord that adjusts from 14 inches to 26 inches. You will have to choose one of these options at checkout. Please attach a picture or sketch of your brand and include the personalization you want - Ranch Name, Animal Name etc. If you need something different don't hesitate to call 918 786-3996.